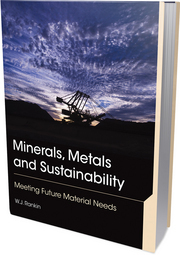 Minerals, Metals and Sustainability- Meeting Future Material Needs has just been published by CSIRO Publishing in Australia and internationally by CRC Press. The author is William John Rankin, who has held academic and research appointments in South Africa, Canada and Australia. He was Director of the G. K. Williams Cooperative Research Centre for Extractive Metallurgy, Professorial Research Fellow at the University of Melbourne and Chief Scientist of CSIRO Division of Minerals. He has written over 100 scientific papers and 70 technical reports on extractive metallurgy and sustainable development. Minerals, Metals and Sustainability examines the exploitation of minerals and mineral products and the implications for sustainability of the consumption of finite mineral resources and the wastes associated with their production and use. It provides a multi-disciplinary approach that integrates the physical and earth sciences with the social sciences, ecology and economics. Increasingly, graduates in the minerals industry and related sectors will not only require a deep technical and scientific understanding of their fields (such as geology, mining, metallurgy), but will also need a knowledge of how their industry relates to and can contribute to the transition to sustainability. The book is an important reference for students of engineering and applied science and geology; practising engineers, geologists and scientists; students of economics, social sciences and related disciplines; professionals in government service in areas such as resources, environment and sustainability; and non-technical professionals working in the minerals industry or in sectors servicing the minerals industry. We invite your comments and reviews of the book. Clean diamonds are naturally hydrophobic as they have no polar groups on the surface. Therefore, a fraction of the coarser diamonds is separated by grease tables (or belts), while finer diamonds less than 2 mm are collected by the air bubbles in flotation, with hydrocarbon oils as collectors. However, the hydrophobicity of diamond can be seriously compromised when exposed to process water that has been in contact with kimberite ore, due to the deposition of hydrophilic species (secondary hydrophilization) on the surface of the diamond. Diamond flotation requires larger contact angles than required for mineral flotation in view of the substantially larger particle sizes involved in the former. Therefore, some investigators have attempted to overcome the detrimental effect of the secondary hydrophilization using thiol-type collectors, while others used mild acids (or anolites) to remove the hydrophilic surface coatings. A new method has been developed in the USA and will be presented at Flotation ’11 in a paper co-authored by Michael Rylatt of BHP Billiton, Base Metals, USA. Michael is one of the foremost experts in the beneficiation of diamonds., who designed, installed and operated the first diamond plant in Canada. In recognition of this, in 2003 he was awarded the Bill Moore Special Achiever Award, presented from time to time to a member of the Canadian Mineral Processors Division of CIM who warrants special recognition for meritorious service to the Division or for an outstanding technical contribution to the mineral processing industry (see MEI Online for the full story). The paper “Improving the separation of diamonds from gangue minerals” is co-authored by workers from the Nalco Company and Virginia Tech, USA, and will be presented by Roe-Hoan Yoon, who was awarded the patent for the process. He will describe the development of a new method of removing the hydrophilic coatings in alkaline media and increasing the contact angles of diamonds using hydrophobicity-enhancing reagents that are specifically designed for diamond flotation. They have also found that the harmful effects of secondary hydrophilization can be overcome by using a water-conditioning agent and a hydrophobicity-enhancing reagent. The new process has been tested successfully in an operating Canadian diamond plant. I have no doubt that this paper will be of great interest to all in the diamond mining industry. The 5th International Conference on Autogenous and Semi-Autogenous Grinding commenced on Sunday in Vancouver. Attended by well over 500 delegates, registration closed many weeks ago. 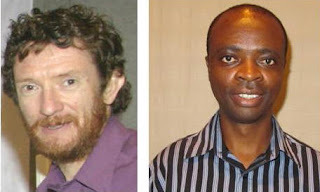 MEI is represented at the event by our Comminution '12 consultants, Prof. Malcolm Powell, of the JKMRC, Australia, and Dr. Aubrey Mainza, of the University of Cape Town. 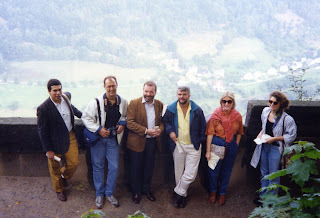 Dr. Zeljka Pokrajcic is blogging from SAG 2011, and her posts can be read on the CEEC blog. Evidently, Part I and Part III form the bulk of the book. However, the hydrometallurgical operation in Norilsk where one million tonnes of sulfide ore per year are treated is not mentioned at all. Strange enough Part II contains material already in Part I and the unique operation in Morocco for the recovery of cobalt from cobalt arsenide ore is mentioned in two sentences [page 358]. The eight appendices could have well been inserted in the main parts of the book to avoid fragmentation. 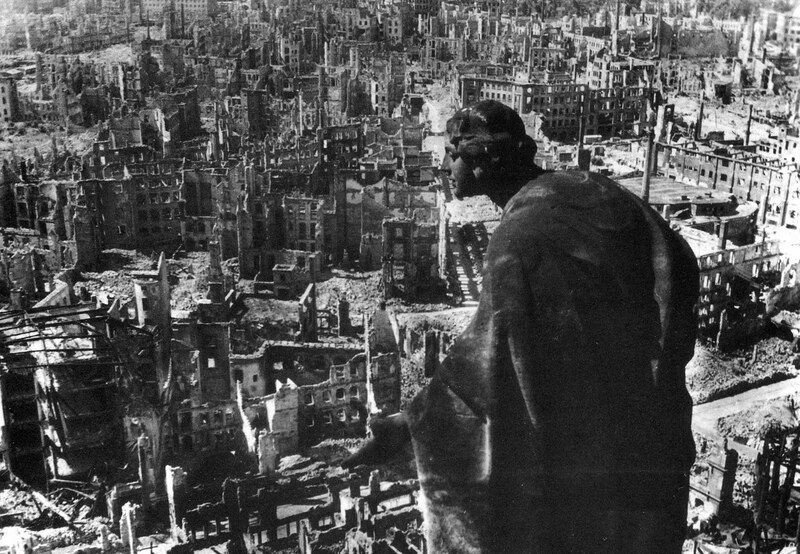 It is usually said that a picture is better than hundred words. But, in this book many of the photographs are either not of good quality or of no real value. For example, 1.2, 1.7, 3.2, 3.4, 5.1, 6.1, 7.2, 11.3, etc. The strength of the book lies in the number of Tables comparing production details in different smelters and refineries around the world and the list of references at the end of each chapter. The book also includes many operating details for furnaces and other equipment as well as analyses of materials handled. This information must be considered as authoritative since the authors mention that they visited many plants and collected data on site. However, on examining the plants visited [mentioned on pages xi and xii] there is no mention of Cuba or Russia. The work is a reference volume and not a textbook although of course a student can benefit greatly from studying its contents. The book is a welcome addition to the metallurgical library and any one involved in the nickel industry must be aware of this book. The price is of course quite high which renders the book to be only in public libraries and not in personal libraries. The authors: Frank Crundwell is with CM Solutions in Johannesburg, Michael Moats with University of Utah in Salt Lake City, Venkoba Ramachandran with Ram consultants in Arizona, Timothy Robinson with Freeport-McMoRan Mining, and W. G. Davenport with University of Arizona in Tucson. Over 700 participants, from around 40 countries, attended the XVII IMPC, which started 20 years ago today. 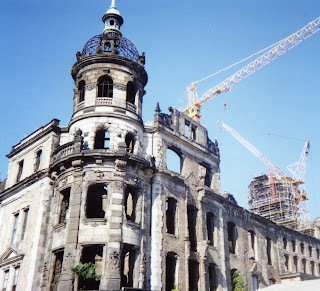 It was held at the Cultural Palace, situated in the centre of Dresden, the main city in the region of Saxony, an area which has made major contributions to the mining industry over the centuries. 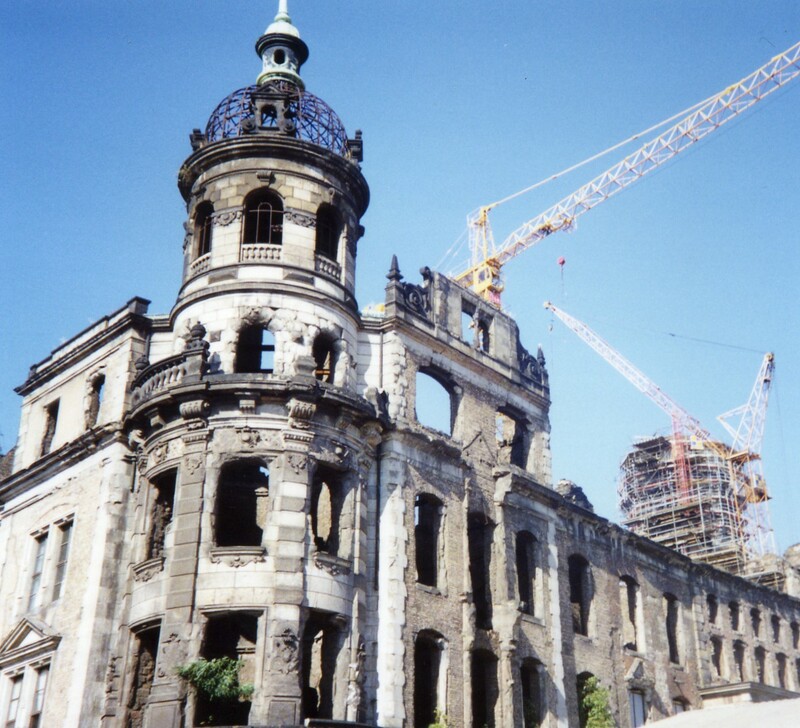 The IMPC had been planned to give delegates an insight into East Germany, but by the time of the event reunification had taken place. 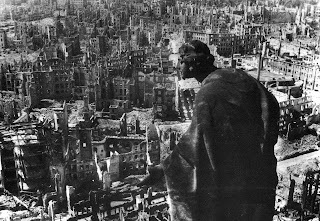 It was a shock to many of us, however, to see that the massive devastation caused by allied bombing in 1945 was still very much in evidence in the beautiful area around the river Elbe. 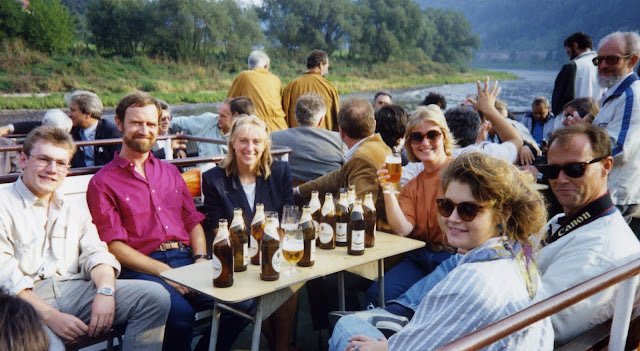 The conference and exhibition were well organised, as were the social events, including a memorable boat trip on the Elbe to Konigstein. Stephen Grano of the Institute for Mineral and Energy Resources, University of Adelaide, asks, on LinkedIn’s Coalition for Eco-Efficient Comminution group, “what is the industry status of microwaves as a means to reduce comminution energy by enhancing slective fractures prior to breakage? There has been a lot of research but has it been implemented”. Stephen’s question has initiated a great deal of discussion on the group, which is rapidly proving to be the most dynamic of the comminution groups on LinkedIn. There certainly has been a great deal of research in this field, and a number of excellent papers have been published in Minerals Engineering over the years, including good reviews by Prof. Chris Pickles on the fundamentals and applications. The AMIRA P879 Project is aimed at designing and building a large scale demonstration plant; an Executive Summary of this project can be found on MEI Online. As pointed out by Mike Daniel of CMD Consulting, Australia, the main challenge to the industry is the scale of the operation. It is hard to compete with a 40ft, 24MW SAG mill treating 2500 tph. Ray Shaw, of R&D Consulting, Australia questions whether the industry feels there is sufficient potential value to drive the necessary work as it will take time and resources, but Klaas Peter van der Wielen, a PhD student at Camborne School of Mines, rightly points out that as ores become increasingly more complex, innovative technologies have to be developed and high voltage and microwave treatment may be the key to effectively processing these ores. 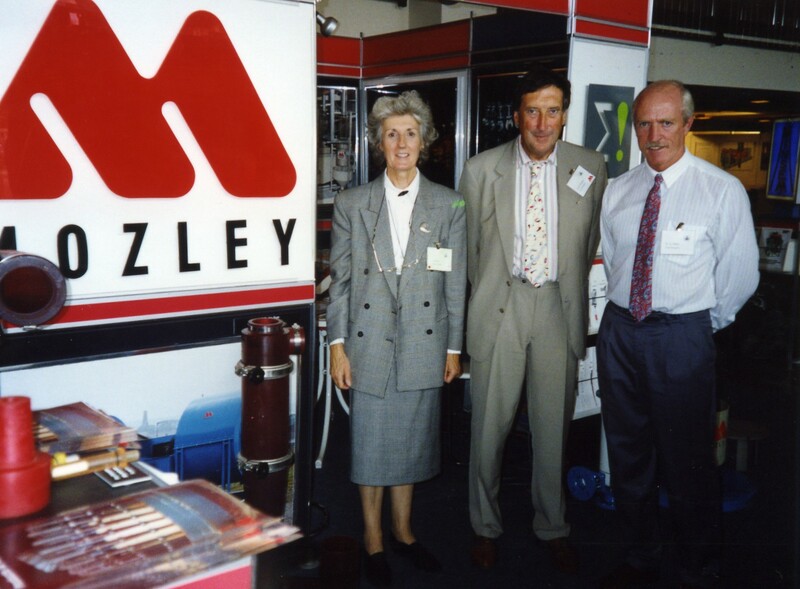 I heard sad news this morning, of the passing of David Muir, esteemed former editor of Hydrometallurgy. David passed away peacefully at home on Friday 16th September. 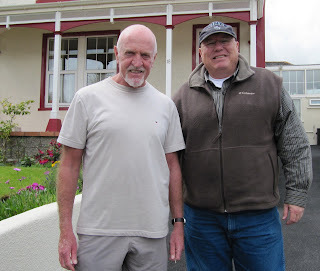 He was an Adjunct Professor at Murdoch University, Australia, and I last met him and his wife Mary in Falmouth last year, when he presented papers at Nickel Processing ’10 and Precious Metals ’10. He was a major player in the field of hydrometallurgy until his last day, and will be sorely missed. Please join me in expressing our deepest condolences to his wife. If you have your own personal memories of David, we would appreciate your comments and appreciations below. 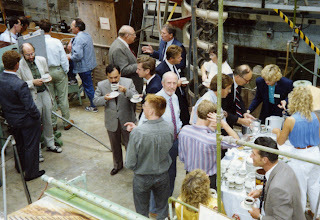 Twenty years ago today, Reagents '91 commenced in Cornwall, at the Camborne School of Mines. 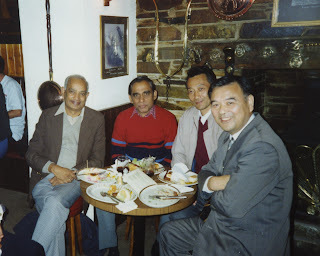 It was the first of what would become a series of MEI Conferences on reagents, which ran until 2006, to be superseded by the biennial Flotation conferences. The conference was attended by over 60 delegates from 17 countries, and it is interesting to look back at the delegate list and see who was there. Notably Antonio Peres, of Minas Gerais University in Brazil, who I believe has attended more MEI Conferences than any other person. 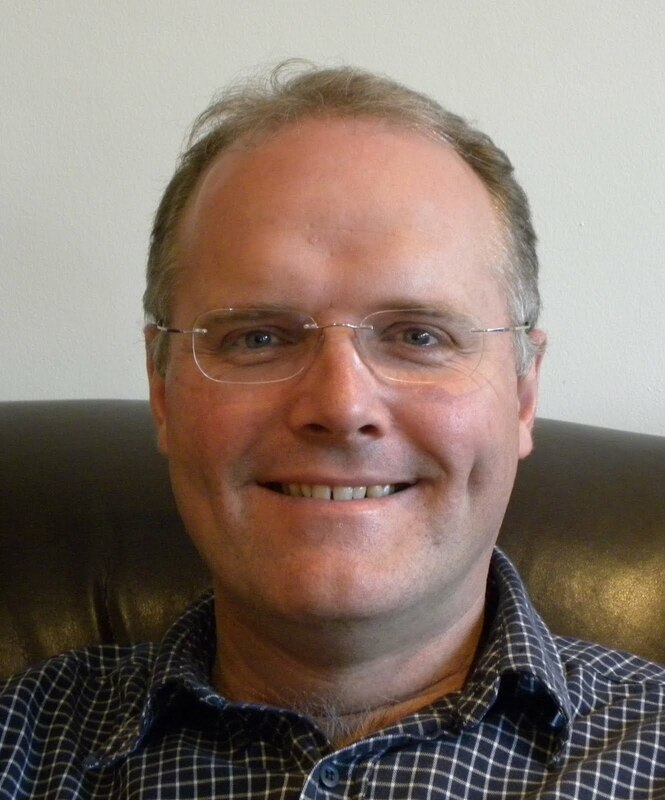 He will be presenting papers in two month's time at Flotation '11, as will Dee Bradshaw, who is now a Professor at the JKMRC in Australia, and is one of MEI's flotation consultants. 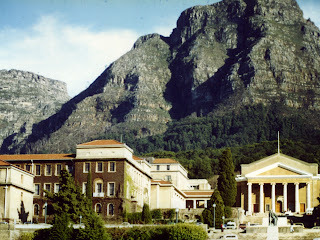 In 1991 Dee was a post-graduate student at the University of Cape Town, and Reagents '91 was her first international conference. 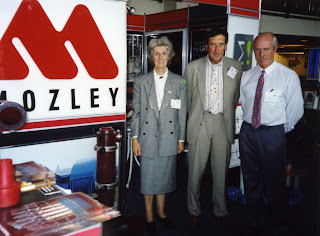 Dee is pictured 3rd left, on the Mozley boat trip on the River Fal, which was a regular feature of the conferences during the lifetime of Richard Mozley. Second left is Jules Aupiais, a regular attendee at the flotation conferences, and his company, Senmin an ongoing sponsor. 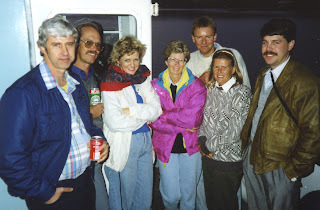 On the far right of the photo is Leon Lorenzen, who was then at the University of Stellenbosch, and is now Executive Metallurgical Consultant with the Snowden Group in Australia. 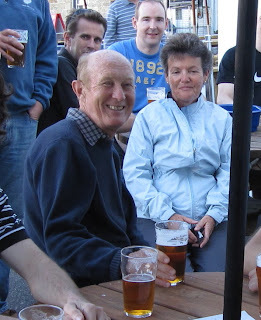 The photo on the right was taken at the Heron Inn, off the River Fal, and left to right are T.C. Rao, of the Indian School of Mines, M.S. Prasad of the University of Minnesota, USA, Shouci Lu, of Wuhan Iron & Steel University, China and T. Wakamatsu of the University of Kyoto, Japan. It is interesting to read Dr. Prasad's conference paper on recent trends and applications of reagents in the minerals industry, to see how things have developed in the past 20 years. His paper is one of 24 published in Volume 5 nos. 3-5 (1992), a special conference issue of Minerals Engineering. Should laptops be banned from conference sessions? Are we REALLY concerned about environmental issues? There is something for everyone immediately after Flotation ’11 on Friday November 18th. The JKTech are running one of their short courses on statistical methods at the conference hotel, and there is a student flotation research day at the University of Cape Town. For those delegates wishing to get away from it all, Francois du Plessis, of Blue Cube Systems is organising a two-stage hike on Table Mountain, stage 1 being a gentle walk suitable for most people, and stage 2 for fit, regular hikers. The total distance will be 12km, with an elevation gain of 800m. The group will depart from the Vineyard hotel at 07:00 and should be back by 17:00. The cost will be that of the taxi back to the hotel and a single cable way ticket of R92 for those on stage 2. After a shuttle drive to Constantia Nek, the route starts with a 4km walk on the 310m altitude contour path to the top of Kirstenbosch National Botanic Gardens, founded in 1913. At this point the group will split in two. 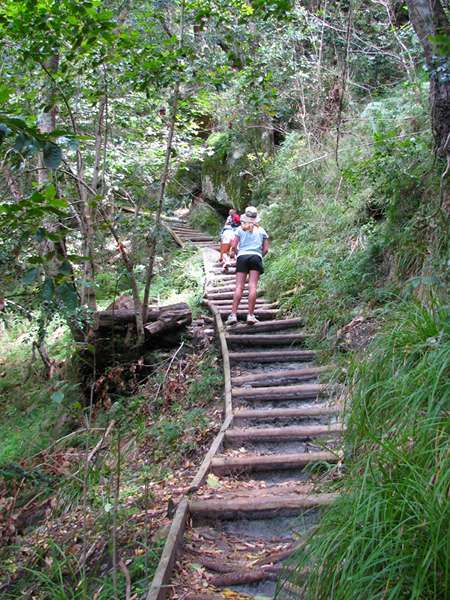 The first group (Stage 1) will take a relaxed stroll down the terraces of fynbos, proteas, cycads and rolling lawns into Kirstenbosch, where there is a restaurant, self-service area and tea-room as well as gift shops to enjoy. Taxis are available outside the Gardens. Kasteelspoort offers dramatic views down the western slope of the mountain towards Camps Bay. Turning north past Valley of the Red Gods, Isolation Valley and Echo Valley there is another dramatic view from the north rim towards the city, Table Bay and Robben Island. From there it is only a few hundred metres to the top of the cable station. Taxis are available after the short cable car ride down the mountain. 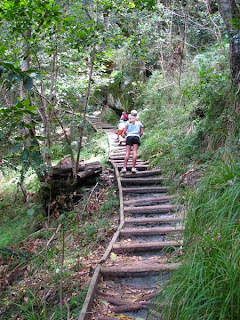 To join Stage 2 you will need to be fit enough to walk 12 km and climb 250 storeys! Those interested should contact Francois at fd@bluecubesystems.com. The Centre for Minerals Research at the University of Cape Town (UCT) is planning to hold a Student Flotation Research Day on Friday 18 November, immediately following Flotation 11. The intended venue is the Chemical Engineering Department at UCT, just a few minutes from the Vineyard Hotel, where Flotation 11 will be held. This follows similar Student Research Days held after Flotation 2000 in Adelaide, and before the XXVth IMPC in Cape Town in 2003. Any student who wishes to participate must bring a poster, which could (but need not) be their poster at Flotation 11. This will be an opportunity for students to meet each other in a smaller group to discuss their work: every student will have a chance to present their own work and receive feedback. Students (and supervisors) wishing to attend should please contact Ms Gaynor Yorath at gaynor.yorath@uct.ac.za, with the topic of the poster. Early registration would be appreciated. Registration is free – the only requirement is active participation! If there is sufficient interest, a coach tour around the Cape can be arranged on Saturday 19 November, to see the beautiful scenery and visit the winelands. There would need to be a charge for this, to cover the coach and the lunch. Please indicate in your email if you would like to do this. How flotation continues to, and needs to, evolve is perhaps no better illustrated than by the case of copper, the commodity where it finds its most important use, and produces the greatest annual tonnage. Total world tonnage is around 15 million tonnes per year, and with developing countries demanding more each year, this is bound to increase. The development of froth flotation had an enormous impact on copper mining, enabling chalcopyrite and other sulphides to be efficiently separated from ores of relatively low grade and fine grain size. Until 1907 practically all the copper mined in the USA was from underground vein deposits, averaging 2.5% Cu, whereas flotation allowed the mining of porphyry deposits of only 0.6% grade. Nevertheless, the flotation of copper ores still presents challenges to the minerals engineer. Copper is characterised by having a number of economic ore minerals, many of which may occur in the same deposit, and in various proportions according to depth. Chalcopyrite is the dominant primary mineral, and floats readily with anionic collectors such as xanthates, as do other economic sulphides such as chalcocite, covellite and bornite. However many other minerals respond poorly to flotation, and may even impede the flotation of readily floatable minerals, as at Palabora in South Africa, where the ore contains small amounts of valleriite, a copper-iron sulphide containing Mg and Al groups in the crystal lattice, and occurring intergrown with other sulphide minerals. Valleriite has a low flotation response, and it is a very soft mineral. During comminution breakage occurs along the soft and friable valleriite, leaving grains of other copper sulphides with a valleriite coating, preventing these grains from floating. But perhaps the biggest challenge in copper flotation is that of copper oxides which have very poor floatabilities and are usually treated by hydrometallurgical methods, such as vat and heap leaching, sometimes in association with solvent extraction. 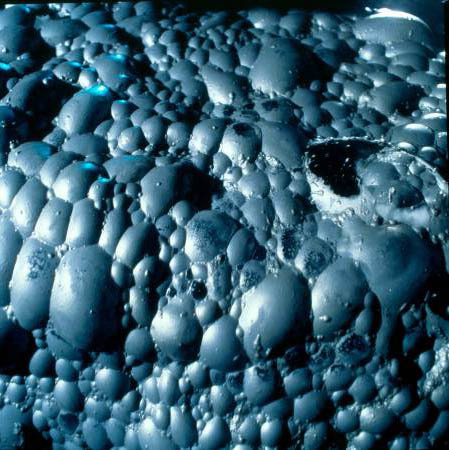 Oxidised minerals such as malachite and azurite can to some extent be upgraded by flotation after sulphidisation, but minerals such as cuprite and chrysocolla, respond very poorly. There are a number of papers on copper flotation scheduled for Flotation ’11 but two of particular interest to those involved with oxidised and oxide copper minerals will be given by workers from Australia, who have found encouraging flotation response of malachite and chrysocolla using hydroxamate reagents. Also of interest will be papers on the depression of the arsenic-containing copper sulphides, tennantite and enargite. Arsenic is a toxic, volatile element that has little commercial use. This is causing some concern to copper smelters as they are obliged to dispose of arsenic materials produced as a by-product to the smelting process in accordance with ever tightening environmental guidelines. The onus is moving back to concentrate producers to remove toxic elements, such as arsenic, earlier in the concentrate supply chain. To complicate matters, the common copper-arsenic bearing minerals in copper ores, enargite (Cu3AsS4) and tennantite (Cu12As4S13), also contain significant amounts of copper; 48.4% and 51.6% respectively. Removal of these minerals from the concentrate removes valuable metal, hence income. There is a dearth of literature concerning the selective removal of enargite and tennantite from sulphide ores, but what there is reports some success using either chemical oxidation or potential control. This has applications in mines such as Rosebery in Australia, where arsenic levels in concentrate are becoming prohibitive. A paper by workers from MMG Rosebery, the JKMRC and the University of Queensland, will present a review of the literature with regard to the selective removal of the arsenic bearing minerals from copper ores during flotation, summarizing the pros and cons of the various options, and will recommend a strategy for evaluation, while a paper from Japan will also consider the selective flotation of an arsenic rich sulfide copper ore. The Applications and Plant Practice Symposium at Flotation ’11 has a number of papers relating to the control of flotation circuits, using machine vision, electrical resistance tomography and acoustic emissions. One of the conference delegates, Trevor Yeomans, of Silver Standard Resources, Canada, notes, in LinkedIn’s Froth Flotation group, that such control techniques, and traditional methods such as froth depth and aeration rate, are typically used on rougher-scavenger circuits and asks would it not be more effective in cleaner circuit control, where the flowrates are more variable in the short term and the economic value of producing a more consistent concentrate quality is likely to be higher than increasing rougher recovery. Francois du Plessis, of Blue Cube Systems, South Africa, who will also be at the conference in November, states that stabilising the primary rougher concentrate grade should be a first priority, as grade stability is improved to the cleaners, which in turn gives a more consistent product grade quality, and maximises overall recovery. Although cleaner banks determine the product quality, they cannot recover what has been lost through primary flotation. However rapid process control is already being used at various sulphide flotation plants on the final concentrate banks, to prevent incurring smelter penalties. The latest issue of International Journal of Mineral Processing (Volume 100 Nos. 3-4, 2011) contains a paper by Shean and Cilliers, which reviews froth flotation control. 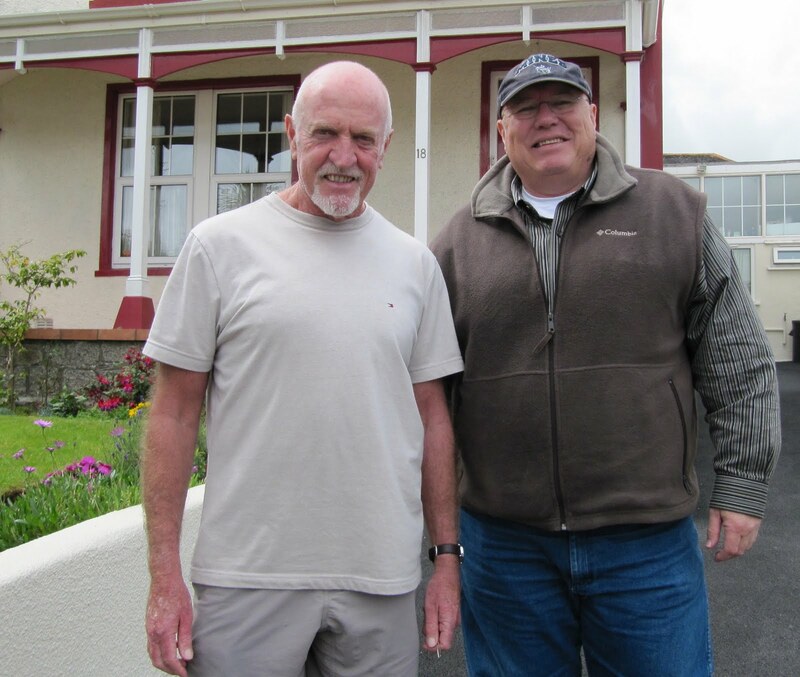 A welcome visitor to MEI today was my old friend Erik Spiller, who I have known for many years, since his early days with Hazen Research. He is now a research professor at the Colorado School of Mines, and Vice President of Tetra Tech, Colorado. Erik has been in Cornwall as a consultant to the proposed polymetallic mine in Camborne. Progress is still being made with this venture and extensive mineralogical testwork is currently being carried out, utilising the Camborne School of Mines' extensive QEM-SEM and QEM-SCAN facilities. More news on this soon hopefully. Pyrometallurgy in the 21st Century: Is it still a contender in the race with hydrometallurgy? This is a question I posed last year on the blog, and it led to some interesting debate. Hopefully it should also lead to much discussion at next year’s Pyrometallurgy ’12 conference in Falmouth, as this is the title of the keynote lecture, which will be given by Prof. Jacques Eksteen, the Consulting Metallurgist on Hydrometallurgy and Pyrometallurgy at Lonmin and Professor (Extraordinary) at the University of Stellenbosch, South Africa. Dwindling high grade metal resources, significant progress in hydrometallurgical technologies, perceived environmental impacts and high capital costs have all chipped away at the historic pre-eminence of pyrometallurgy. Hydrometallurgy seems to have overtaken pyrometallurgy as the preferred extraction route in the zinc industry, the nickel laterite, copper oxide and low grade sulphide industry, and has an established predominance in primary gold and uranium extraction. According to Prof. Eksteen, however, pyrometallurgy still has much application potential for the 21st century, but in a modified guise. It is foreseen that the role of hydrogen as a reductant will become more pervasive, that energy recovery from slags associated with whole-ore smelting will offer strong competition to ultrafine grinding during concentrating, and that aspects such as roasting will again receive much attention. In particular, roasting using alkali-metal carbonates, reduction roasting and halide roasting will offer new ways of changing minerals in their solid state for further preparation for either smelting and leaching. Prof. Eksteen will show that, rather than an either-or competition between hydrometallurgy and pyrometallurgy, these two approaches are often intimately dependent upon another and fulfil complementary roles. Often the choice of ore heap leaching or concentrate pressure leaching to bring metals into solution, versus ore or concentrate roasting, smelting and converting, is more dependent on extraneous factors than on the underlying thermodynamic and kinetic constraints. In the 21st century, pyrometallurgical extraction routes will always be in a strong position to compete when they are close to river or sea ports, with ready access to non-fossil energy sources (electrical energy via nuclear energy, fuel cells, hydrogen gas, hydro-electric and geothermal sources) and ready access to skilled and educated labour from tertiary institutions. However, the large capital investment associated with most pyrometallurgical facilities will drive many multinational metallurgical companies to consider placing these facilities in socially, politically, financially and geologically stable environments, which limits the number of feasible global locations. Hydrometallurgical technologies, especially those that are heap leach based will contend strongly where the resource is situated in remote locations, where installed electrical infrastructure is limited and / or where significant political and social risks are present. Due to thermodynamic driving forces, pyrometallurgy will remain competitive in the extraction and smelting of light metals, ferro-alloys, metal carbides, sulphide-rich concentrates, and the making of final metals such as aluminium, as well as in manufacture of silicon for the metallurgical and photovoltaic industry. Pyrometallurgy shows particular promise in the processing of secondary materials such as residues and wastes. The keynote will re-evaluate pyrometallurgy as the processing option of choice within the macro-economic and technological drivers foreseen for the 21st century and should also be of interest to those attending Biohydrometallurgy ’12 at the same venue.